Singapore, officially known as the Republic of Singapore, is a small island of 710.3 sq km, located near the equator (latitude 1° 22′ 0″ N) at the southern tip of the Malaysian Peninsula. Despite being a young nation that achieved its independence only in 1965, Singapore has since established itself as a leading financial centre, one of the busiest ports in the world, and a cosmopolitan world city. With a growing population of about 5 million and foreigners making up more than 40%, this melting pot of cultures and heritage makes it an exciting place to live. It is difficult to be convinced about the existence of a singing culture here. Hardly any festive occasions are celebrated with impromptu singing, and when we do sing at a birthday party, often it is an involuntarily polytonal rendition. When 13-year-olds go through choir auditions in schools, only a pitiful 10% can sing on pitch. It may thus appear unexpected for an island nation of shy people to be home to about 300 active choirs, not to mention church choirs and a cappella singing ensembles focusing on jazz and pop music, while some 20 choirs have consistently garnered top honours at international competitions in Austria, the Czech Republic, England, Finland, Germany, Italy, Poland, and Slovakia — a choral miracle on a tiny tropical island! Some church choirs here date as far back as the 19th century, but the activities of community choirs probably started in the 1930s and peaked during the ‘50s and ‘60s. Besides church choirs that put on full-scale choral concerts, the Singapore Musical Society with a minimum strength of 60 singers also performed major choral works and opera choruses annually during the ‘60s. Against the backdrop of events from the post-May 4th 1919 modernization movement (the date of a revolution in China that affected culture as well as the social situation) to post-WWII anti-Japanese sentiments, choral singing took on a new meaning for the Chinese immigrants by advancing the spirit of the times and helping them keep in touch with their cultural roots. Chinese choirs, mostly identified and named after their own conductors, sang mainly arrangements of Chinese folksongs and opera choruses with piano accompaniment. The Rediffusion Youth Choir, which gave weekly radio broadcasts, was founded in 1953. These exuberant and spirited singing movements that came on the heels of liberation from the WWII Japanese occupation waned as the singers aged, even though some of these choirs are still in existence today. How do the choirs flourish? For the following three decades, the Ministry of Education (MOE) played a pivotal role in fueling the growth of the choral movement here. Even the now independent SYC Ensemble Singers, formerly known as The Singapore Youth Choir, was established in 1964 under the auspices of the MOE. The late Minister of Education, Dr Tay Eng Soon, had a vision of Singapore school choirs attaining standards achieved by their European counterparts. As a first step, in the late ‘80s and early ‘90s, a handful of teacher-conductors were sent, with full scholarships, for a 9-month Advanced Certificate conducting course at the Royal Academy of Music (London. These scholars returned with new insights and experiences, gained from the greater exposure overseas, and championed the choral movement with a European sound infused with their individual personalities. 1987 saw the inception of the Choral Excellence Programme. A select group of school choirs, many led by the returned scholars, were handpicked and groomed musically to be “model choirs” for the rest of the nation. 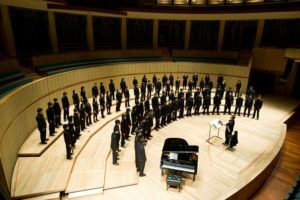 The following year saw the start of the highly anticipated biennial choral competition as part of the Singapore Youth Festival, a platform to showcase the best school choirs in Singapore. The choirs enrolled in the programme were obligated to take part in the competition, which served as a benchmark and inspiration for the rest of the nation. A compulsory unaccompanied work was to be performed by all choirs entering this competition. This steered choral singing towards the high art of a cappella music, performing works from the Renaissance to modern literature. The incentive was set remarkably high — a cash prize of $30,000 along with the coveted title of “Best Choir of the Year”. Given the stiff competition to win or to defend the title, the choral standard has risen exponentially over the years. 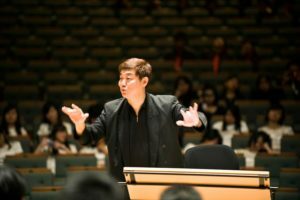 It was not until 2005, seventeen years after the launch of the national competition, that the crowning of the top choir was removed from the Singapore Youth Festival (SYF). The choirs, however, did not stop improving but extended the competitions’ frontier onto international stages, boasting complex a cappella repertoire. Some groups, such as the Anglo-Chinese Junior College Choir, the Hwa Chong Choir, the Raffles Chorale, and the Victoria Junior College Choir, have been active on the international choral scene and consistently won top prizes in European competitions. The SYF competition has since been modified into a central judging system that continues to award gold, silver, bronze and certificates of participation, with the highest achievement being gold (with honours). To date, close to 90% of all secondary and primary schools participate in the biennial SYF Central Judging, which can be regarded as the main catalyst to choral growth in Singapore. Almost all school choirs have a contracted music director, while the teachers focus mainly on administrative matters in the choirs. Apart from the school-based choirs, the choral scene is incomplete without a mention of the Singapore Symphony Chorus (the choir that performs alongside the Singapore Symphony Orchestra in choral works), the Philharmonic Chorus, the SAF Men’s Choir, and many more. They all serve to gather like-minded people for musical goals or simply for leisure. However, none come close to being professional choirs. Toh Ban Sheng, who has won four conductors’ prizes and numerous jury prizes at international festivals, was a Physics graduate. 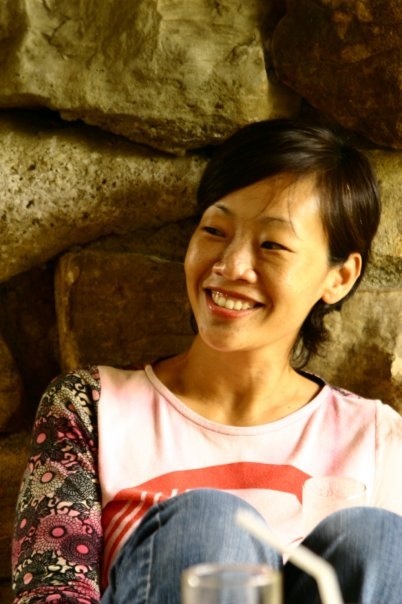 Lim Ai Hooi, who has won two conductors’ prizes at international festivals, is a trained pianist, while Jennifer Tham, the conductor of the SYC Ensemble Singers, is a composition major. Each of these conductors has developed, through his or her own experiences and insights, a unique style of conducting that is not restricted by any standardized conducting techniques. Ample opportunities abound for teachers or conductors to improve their skills in the art form. Each year, the Ministry of Education organizes, for conductors and teachers, free workshops and master-classes with world-renowned choral experts, such as Karmina Silec, Jonathan Willcocks, Karen Grills, Anton Armstrong and the late Erkki Pohjola. The ongoing arrival of top experts at our shores has greatly benefited conductors here and facilitated their progress. Alongside these, the Young Musicians’ Society and other organizations have played a key role in choral outreach by organizing numerous workshops with great masters like Alberto Grau, Gary Graden, Mark Anthony Carpio and Vytautas Miskinis. 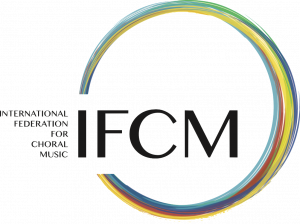 More recently, a Kodály Seminar leading to the Kodály Certificate in Music Education has been organized in collaboration with the Kodály Institute of the Liszt Academy of Music in Kecskemét, Hungary. In the school system, all secondary school students, beginning at age 13, have to enrol in a co-curricular activity (CCA). These take place after academic classes, aiming at developing the pupils’ characters and social skills, thereby providing an all-round education. Choir, being one of the CCA options, has become the seedbed for grooming many untrained voices with no musical background. 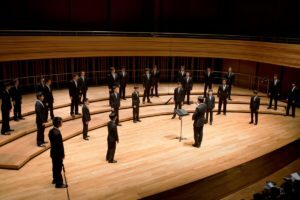 Singers start from scratch, work hard, and learn about teamwork, besides acquiring singing techniques and choral knowledge from the conductors. Many sing only for these four to six years at school because, sadly, upon graduation from an education system that emphasizes participation and learning in co-curricular activities, the majority of the singers simply stop singing altogether when they enter universities or the workforce. The consuming demands of work and a hectic lifestyle of long working hours leave little energy for singers to continue pursuing the interest. There are alumni choirs whose members stay together after graduation and who continue to sing, but few groups are strong and sustainable. Pursuing choral singing for the sake of the art itself is rare. Despite that, the educational objective of developing character through choral activities has been achieved, with very respectable singing standards. It is heartening that there has been a steep rise in the number of young conductors emerging onto the scene in recent years, signaling a change that young people are accepting conducting as a viable career option. The symbiotic relations between choirs and concert halls cannot be overstated. Unlike European choirs, which enjoy the reverberating and uplifting acoustics of cathedral and churches, post-WWII Singapore does not have such buildings. Churches are mostly modern and require electronic amplification. For a long time, most choirs preferred the historical 883-seater Victoria Concert Hall of neo-classical architecture. Acoustically, it was the most suitable venue for choral singing, albeit not so for smaller groups. Since 2002, the completion of the state-of-the-art Esplanade Concert Hall has lent grandeur to many choral performances on its world-class stage. The capacity of the hall is about 1600 and the acoustics are exquisite. Most established school choirs are at least 65 strong. Some have even travelled with 80 singers for international festivals, making quite an impression as they took their position on stage. Chamber choirs with notable standards, like the SYC Ensemble Singers, are few and far between. This could be a natural consequence of a lack of intimate concert venues until recent years and the discontinuity of singing once students leave their school choirs. Generally, Singapore choirs can be characterized as disciplined, well-rehearsed and modern in presentation. They often come across as exotic, and they are admired for their modern and colourful programming. More choirs are exploring choreography and movements as in works by Alberto Grau, adding new dimensions to their choral performances. Unfortunately, due to the size of the choirs, most have steered away from early music and accompanied repertoire. Being one of the top five “most-connected” countries in the world, it’s no surprise that the scope of repertoire embraced by the choirs is correspondingly global. Searching for published choral works is no more than a little finger work on the laptop. What is a Singapore “sound”? It is as varied as there are conductors. But generally the established school choirs can be described as having a straight tone, precise delivery, and a highly committed sound. Embracing the spirit of excellence that runs in the veins of the whole nation, choirs rehearse two to three times a week and step up in duration and frequency nearer a concert or competition. The sound, at times, reflects the purpose-driven psyche, diligence in getting the music right, and giving their utmost. Arguably, it is not the best way for choral singing but for a lack of vocally trained singers and time, it is a good way forward. Having acquired skills in ensemble singing and tuning, some singers have further developed themselves in the area of beat-boxing and performing music of ‘lighter’ genre. With greater exposure to many groups such as the Swingle Singers, Harvard Din & Tonics, and the King’s Singers, new a cappella groups have been mushrooming for the past decade or so. The International A Cappella Festival that has grown into a month-long vocal extravaganza featuring top a cappella groups from around the world is now in its third instalment. All in all, the choral scene in Singapore has flourished considerably, allowing audiences to sample a wide range of vocal art forms. Credit is not only due to the hardworking conductors and choirs but also the generous funding of educational programmes by the Ministry of Education. The National Arts Council of Singapore has been a pillar of support in funding performances, reaching out to various audiences, and sponsoring training for artists – the writer was a beneficiary in his postgraduate studies. Our future generation of singers have started their part-subsidized international travels at a much younger age than ever before, inspiring greater imagination and dreams in the arena of choral singing!